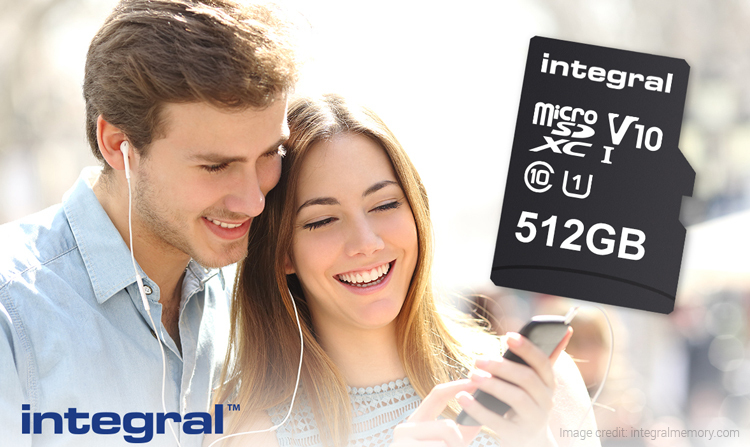 A UK-based tech company, Integral Memory has recently launched the world’s first 512GB Microsd card. The new memory card is classified as SDXC UHS-I U1 card which is believed to offer high-speed data transfer. Wondering how fast? It can transfer data at the maximum speed of 80MB/s. The card can work with supported smartphones and tablets. The company has introduced the Integral 512GB microSD card; however, the detail about the pricing of the card is not revealed by Integral Memory. The card will be officially released this month in the global markets. Along with the card, the company will ship a microSD card adapter, a protective case and a five-year warranty. Like mentioned before, the new Integral memory card comes with 512GB storage capacity. It has a Video Speed Class 10 rating which can allow transfer speed of up to 80MB per second. The card has a high-definition standard for video capture. Previously, SanDisk had 400GB microSD card which was launched at $249.99 (roughly Rs 16,000). So, the Integral 512GB microSD card is supposed to be priced in the similar price range. It is worth mentioning that the SanDisk 400GB microSD card offers up to 100MB/s. So, even though Integral’s new memory card beats SanDisk’s 400GB microSD card, the SanDisk’s card is still the fastest and high-capacity microSD card you can get. With a maximum transfer speed of 80MB/s, the Integral microSD card can be used flawlessly for recording and view high-resolution 4K videos. AS the card comes with SDXC UHS-I U1 classification, the minimum writes speed of the card is 10MB/s. Moreover, the card meets V10 standard which supports higher video transfer rates which is ideal for full HD video capturing. A few weeks ago, Samsung announced that it is competent to manufacture 512GB storage modules for its smartphones and tablets. So, we could expect the 512GB storage version of the upcoming Galaxy S9 device. If this comes to reality, the Samsung Galaxy S9 users will be able to bump the storage up to 1TB using Integral’s new microSD card. 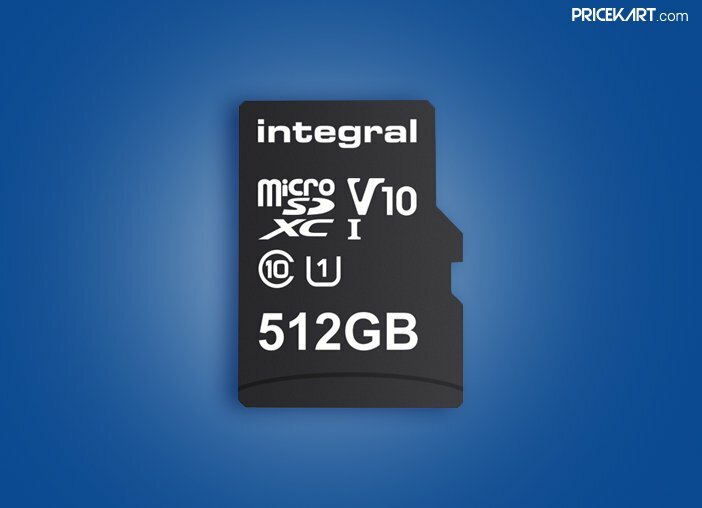 The post Integral Launches World’s Biggest 512GB microSD card appeared first on Pricekart.com.